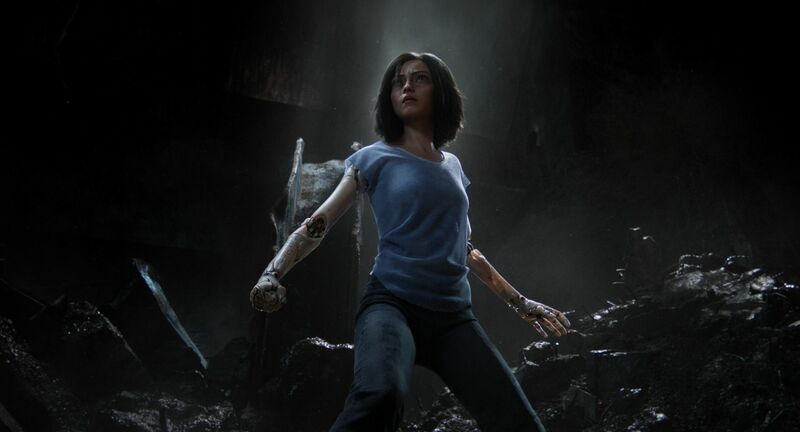 While Alita: Battle Angel could have been left in the scrap heap of ideas and half-written scripts, the project had at least one person hungry to see it on movie screens: director Robert Rodriguez. One day, years ago, when Rodriguez was talking to Cameron about the Avatar sequels he asked what was going to happen to Alita. Cameron told him, “If you can finish the script, you can direct it and I’ll produce. After taking Cameron’s 180-page script and 600 pages of notes, Rodriguez managed to edit it down to an adaptable length, and what was left was something both Cameron and producer Jon Landau felt could be a movie. With the film now in post-production and working towards a December 21st release date, a few days ago I was in Austin, Texas visiting Troublemaker Studios and got to check out the next trailer and two scenes from the movie. While the first trailer audiences saw was a teaser about the character, what I really enjoyed about this full trailer (which should be released in April) was the way it opened up the world and expanded on the characters and who they are. The trailer had a few shots that, when the VFX are finished, should look awesome and sell you on this future world. After seeing the new trailer, Rodriguez and Landau showed the visiting reporters two scenes from the film. While we were asked not to describe in detail what happens, I’ll say one showcased a very cool action sequence between Alita (Rosa Salazar) and Jackie Earle Haley (who you won’t recognize) and both featured 3D that actually looked really good. I don’t know about the rest of you, but I think Hollywood killed 3D by releasing tons of sub-par product. 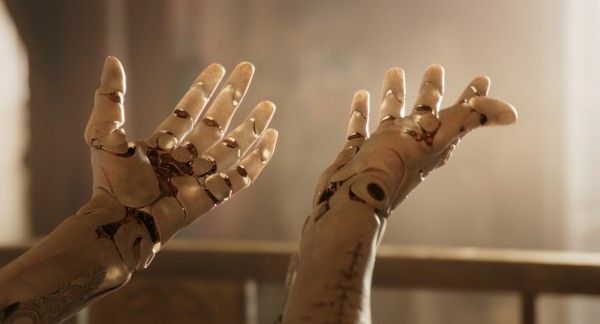 However, because they shot Alita: Battle Angel using 3D cameras, it looked fantastic, and I’ll be seeing the movie in 3D when it’s finished later this year. Shortly after seeing the footage and trailer, Troublemaker Studios opened their doors and hosted the opening night SXSW party, and the place was packed with people. During the party, I got a few minutes with Rosa Salazar & Keean Johnson. They talked about why people should be excited to see Alita, memorable moments from filming, if the first person Salazar called was Andy Serkis, and James Cameron’s script. Check out what they had to say in the player above. Alita: Battle Angel also stars Mahershala Ali, Eiza González, Jennifer Connelly, Michelle Rodriguez, Ed Skrein, and Casper Van Dien. Finally, if you missed my video interview with director Robert Rodriguez and and producer Jon Landau, click here to check it out.